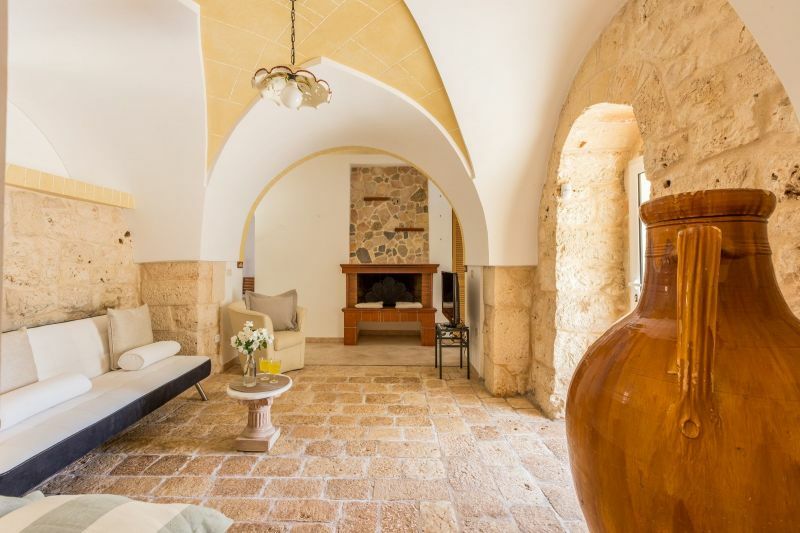 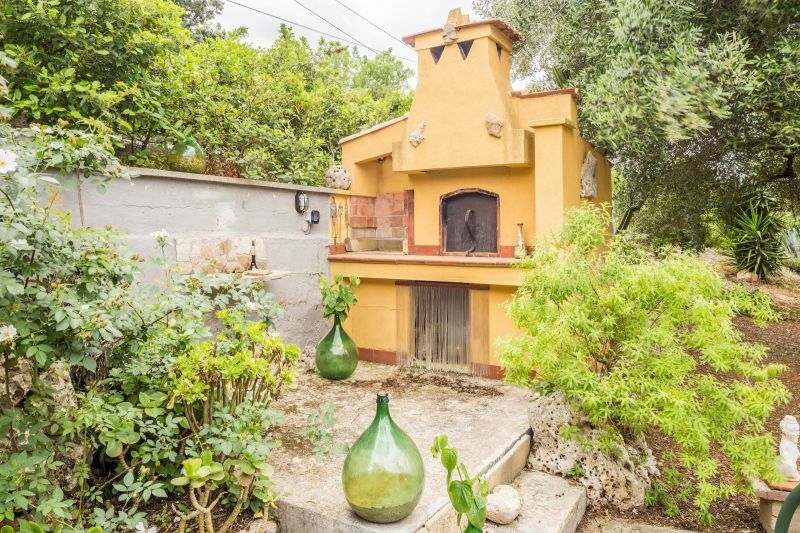 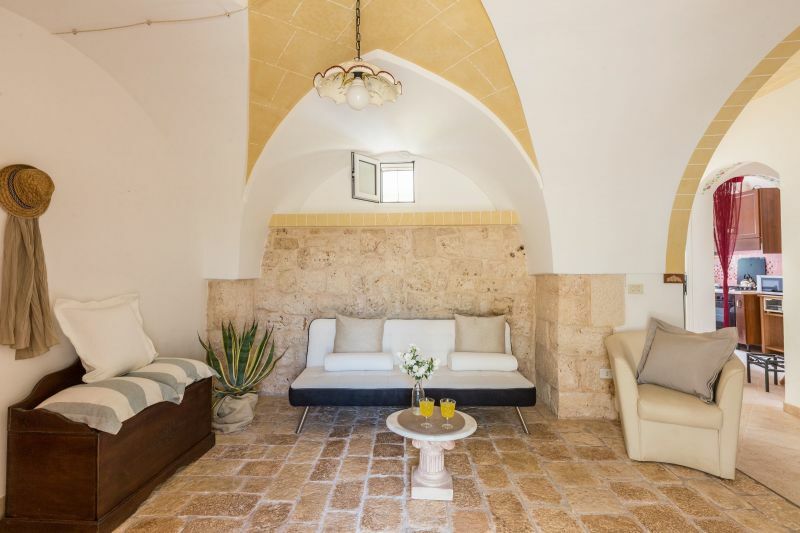 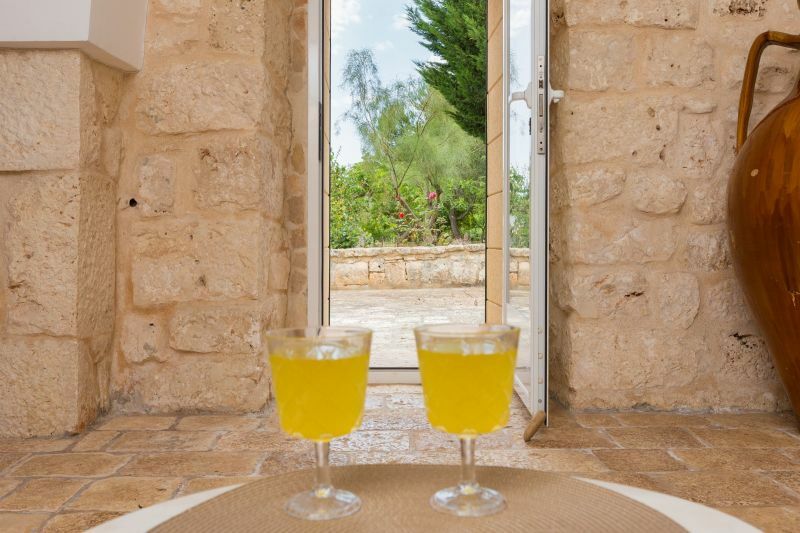 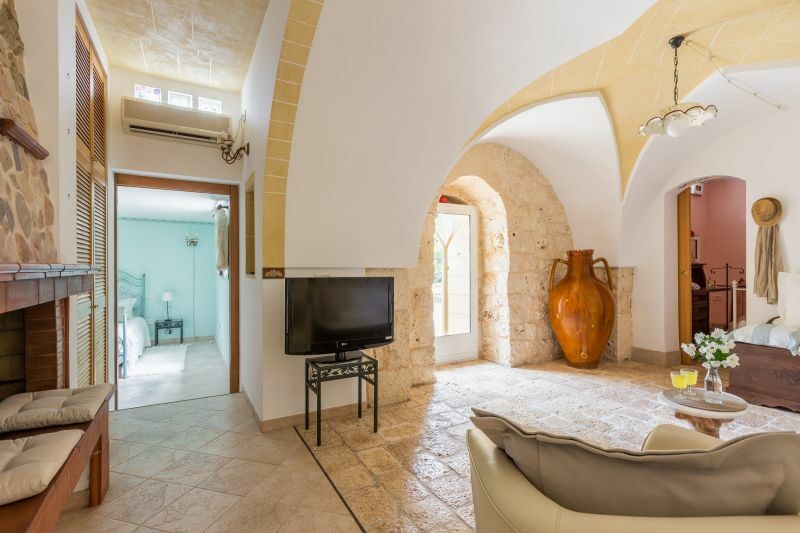 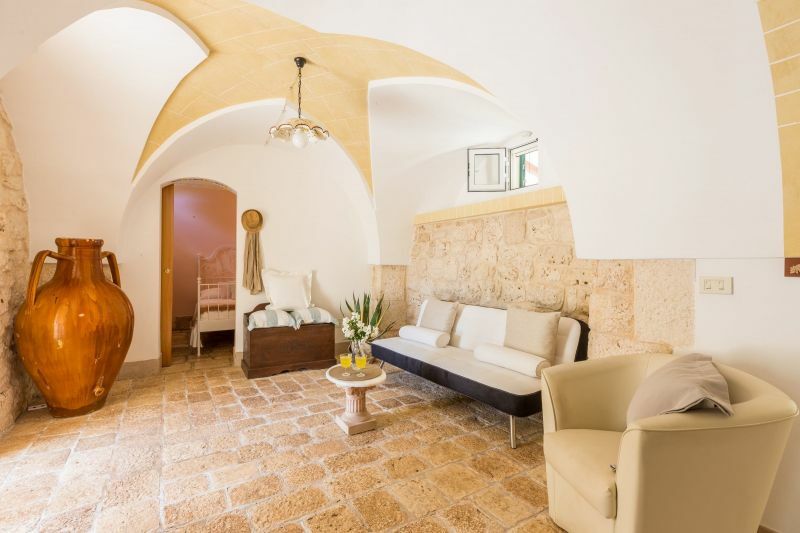 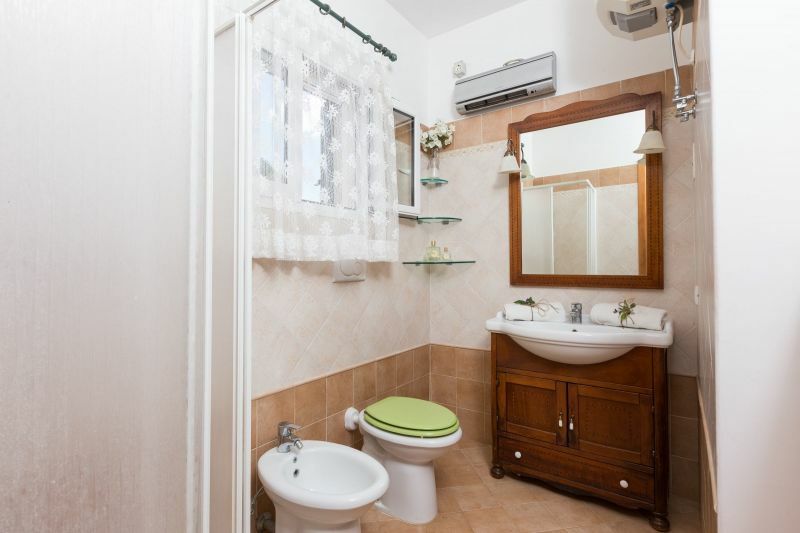 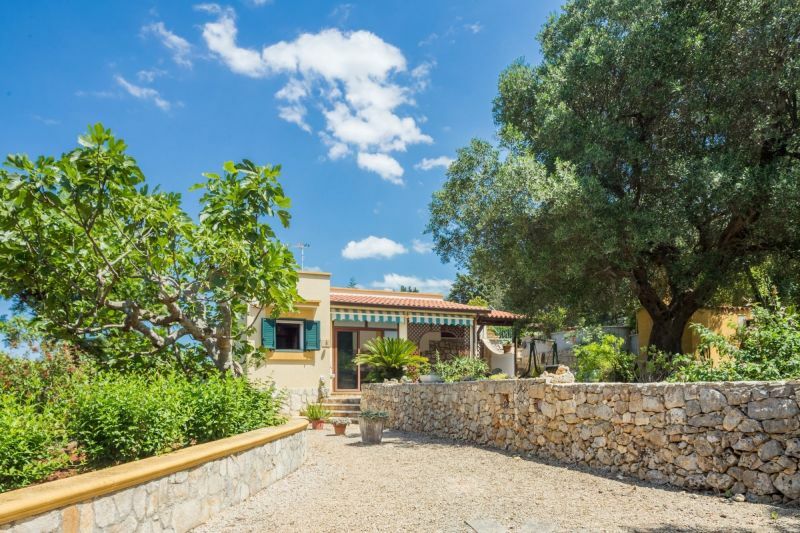 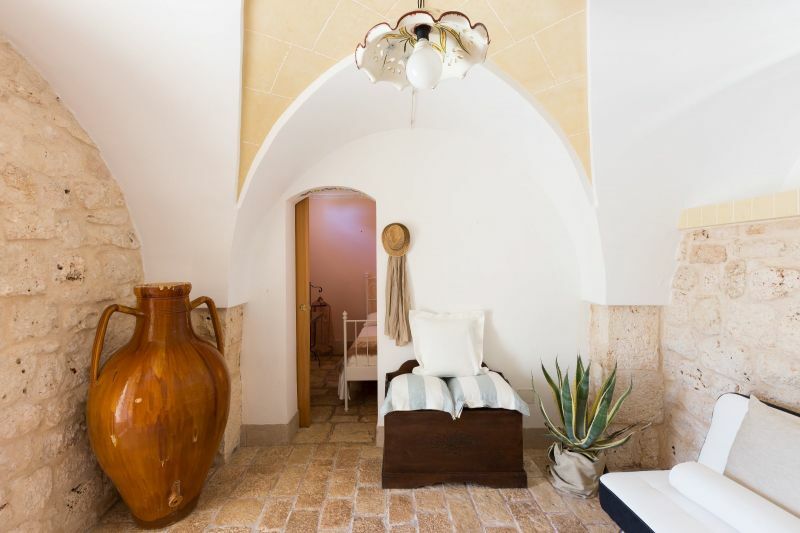 House for summer holidays near Ostuni, located in San Vito dei Normanni in Valle d'Itria, 8 minutes from the beaches and 2000 meters from the historic center. 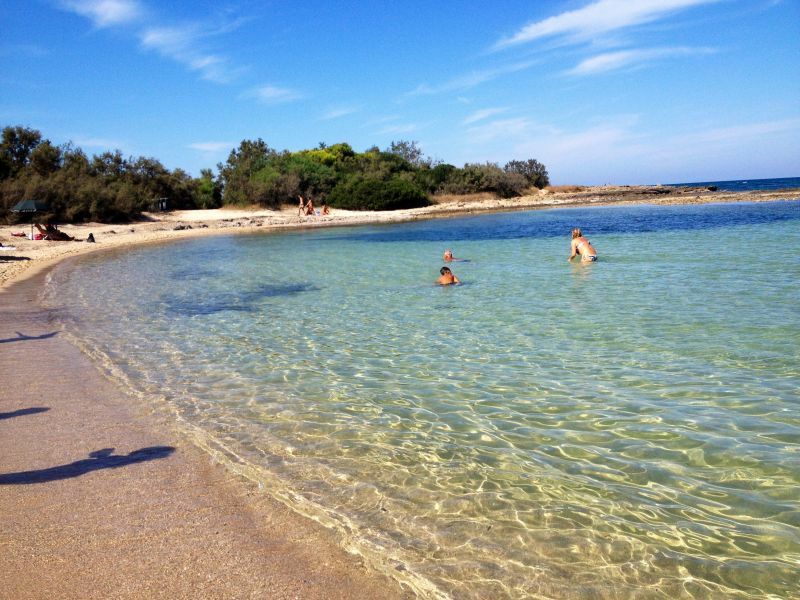 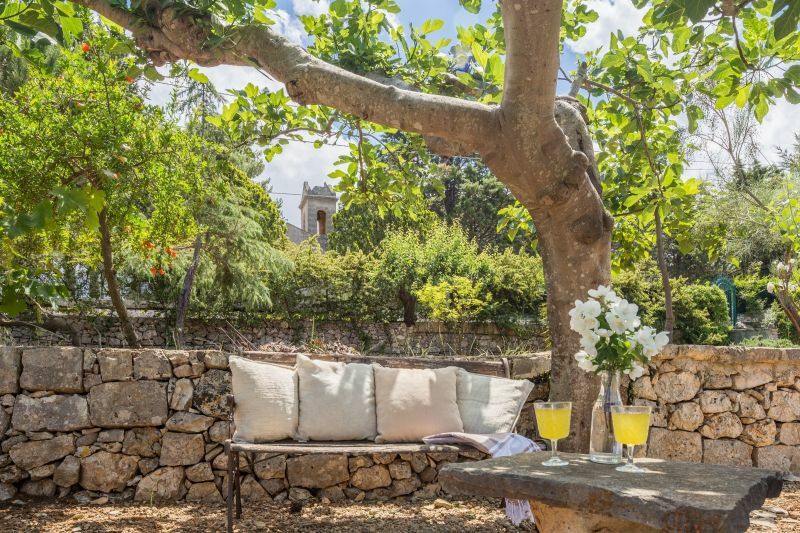 Enjoy a private garden with organic fruit and close to the Oasis of Torre Guaceto, a beach awarded with the blue flag. 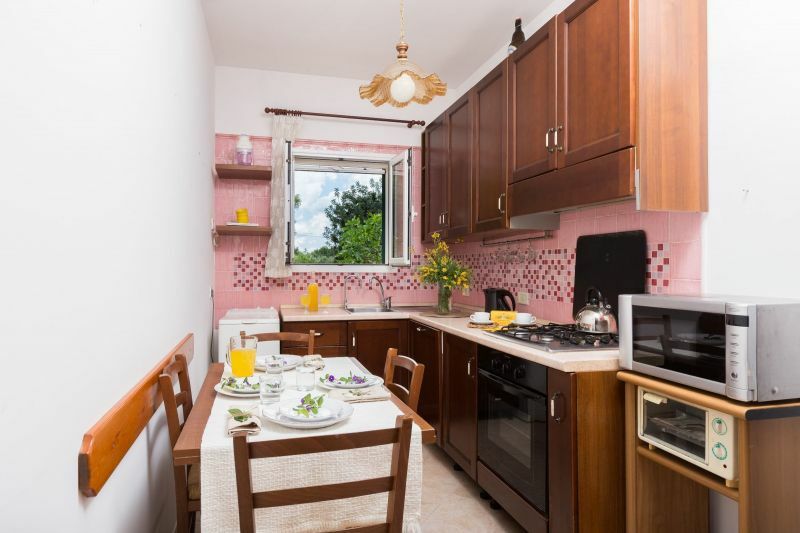 Home for a couple or a family with young children, animals welcome. 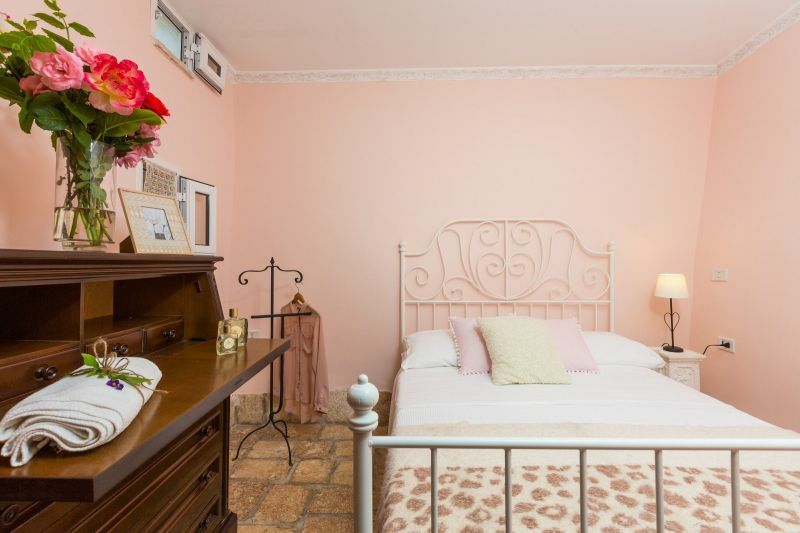 There are four beds. 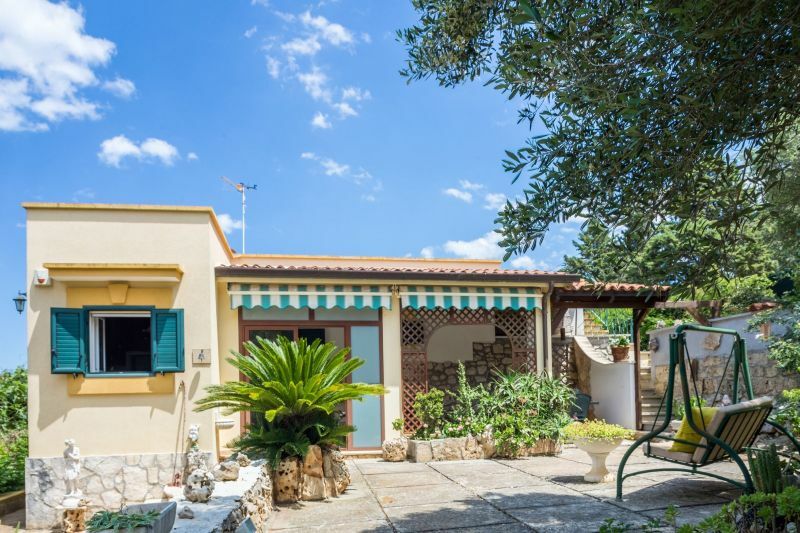 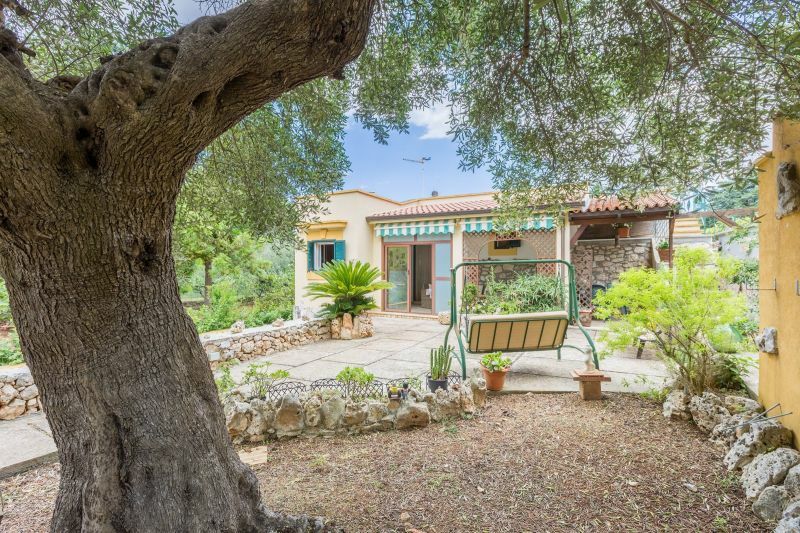 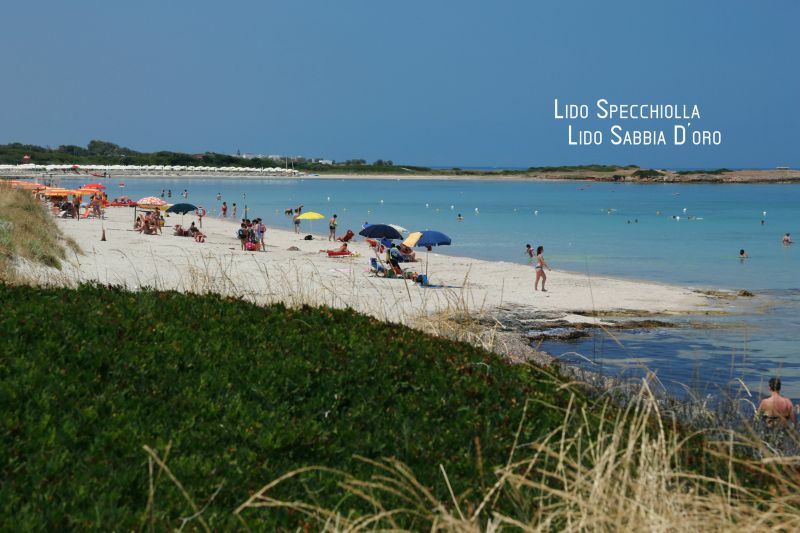 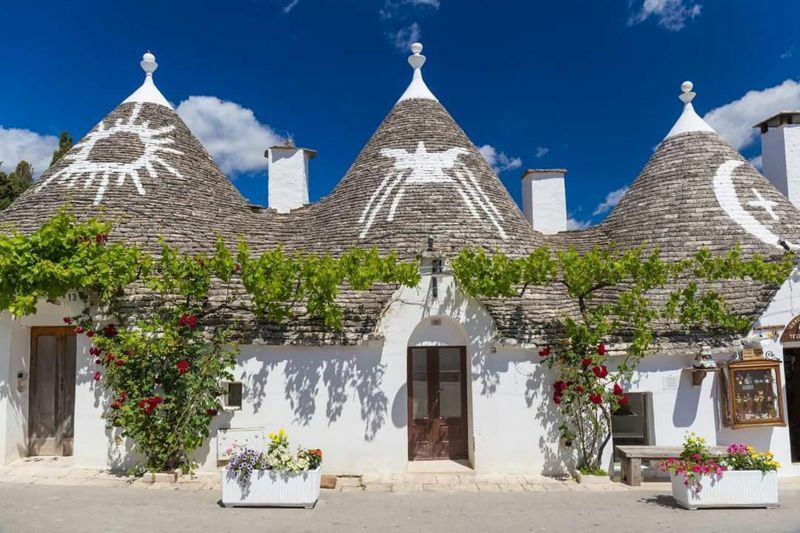 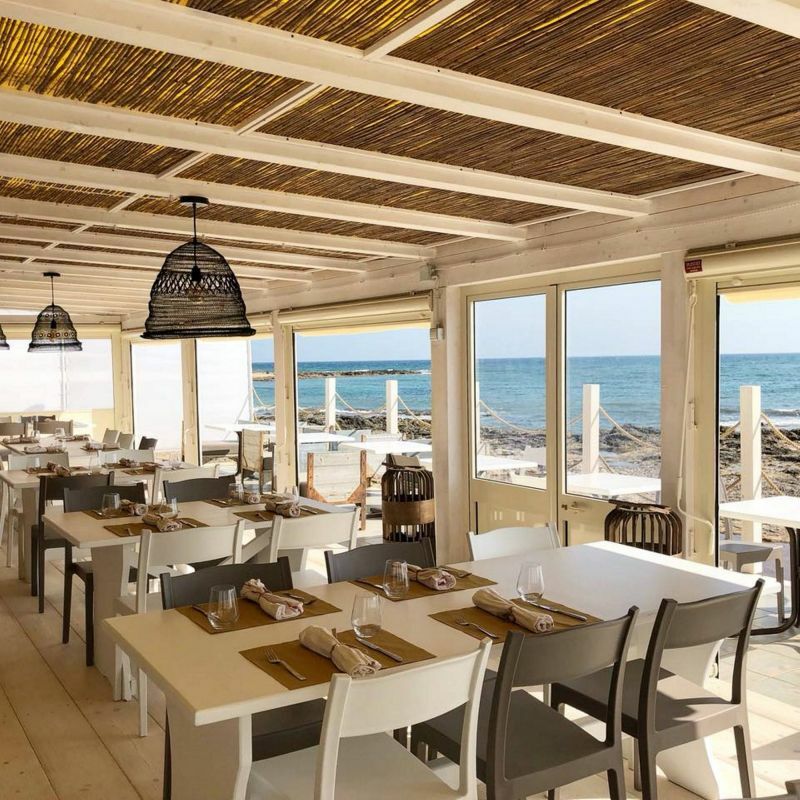 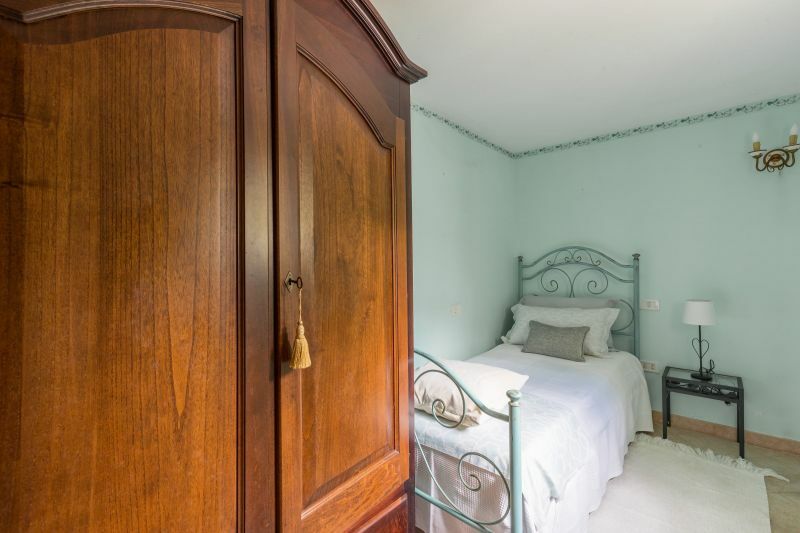 The property offers the tranquility of the countryside without giving up immediate access to the beaches (10 km) and proximity to the ancient village full of trattorias and gastronomic centres, the most famous 'Renzina' known for its burrata and mozzarella. 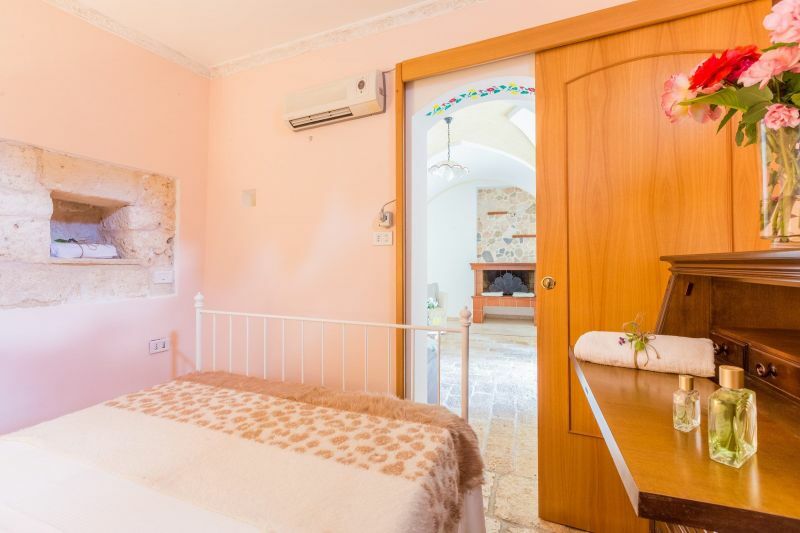 Playground and municipal tennis court at 2500 m.
The villa has 2 bedrooms (1 double bedroom and 1 single bedroom) and a sofa bed in the living room. 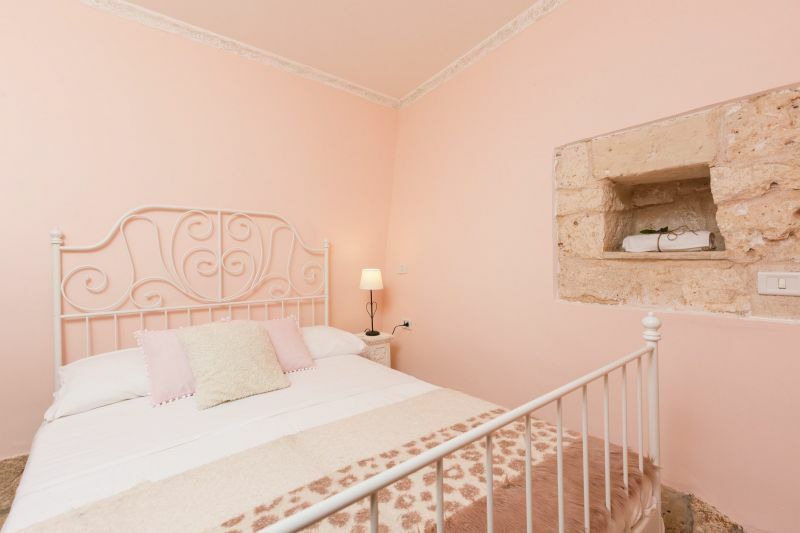 A total of 3 + 1 beds. 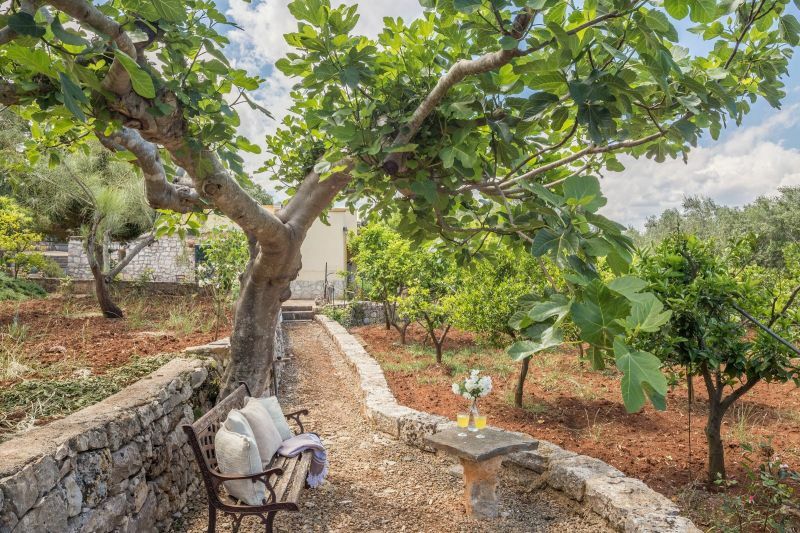 From the living room you can access the other side of the garden, with fruit trees and flowers of all kinds. 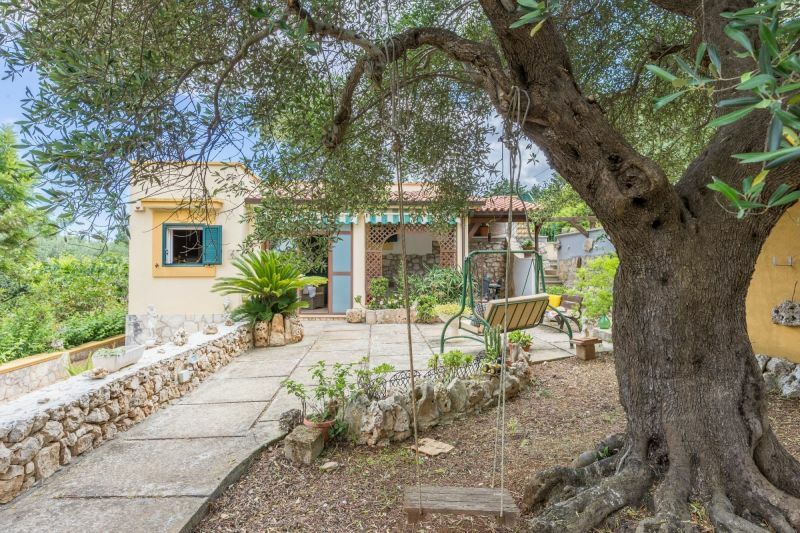 Rocking, benches and swing are available. 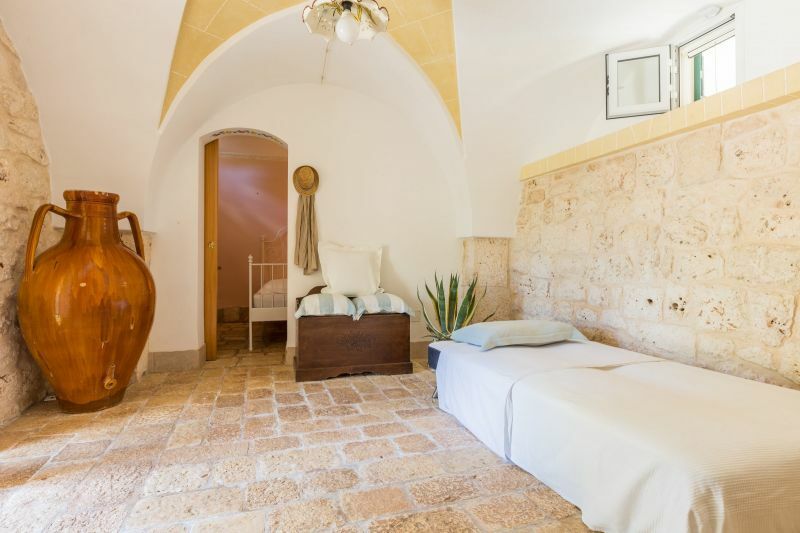 At 2000 meters, the historic center of San Vito dei Normanni, a town of 20,000 inhabitants, boasts a majestic Castle of the Dentice di Frasso dynasty, a stopover on the night of the taranta every 15th August. 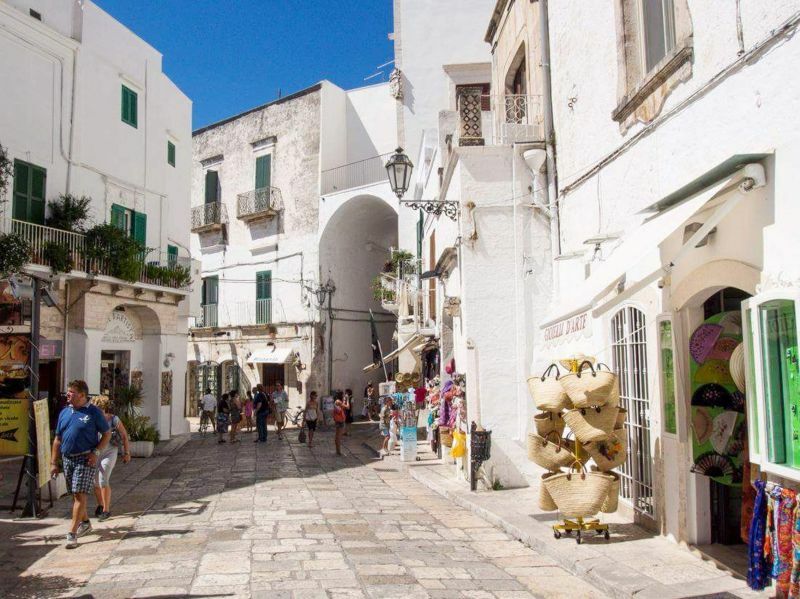 At 10 km, the "White City" - Ostuni, access to the highway is 9000 meters.